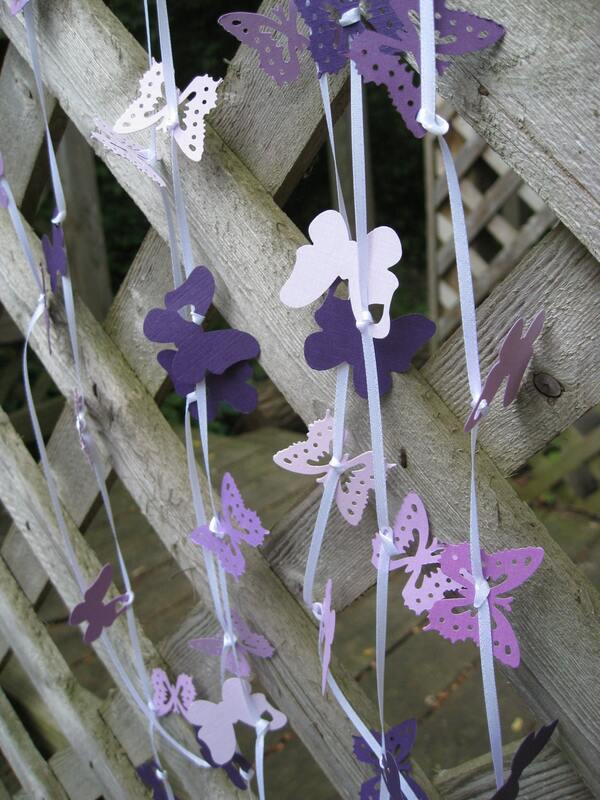 15 Foot Butterfly Garland In PURPLE, LAVENDER, IRIS, Etc. On White Ribbon. Wedding, Shower, Decoration. Custom Orders Welcome. 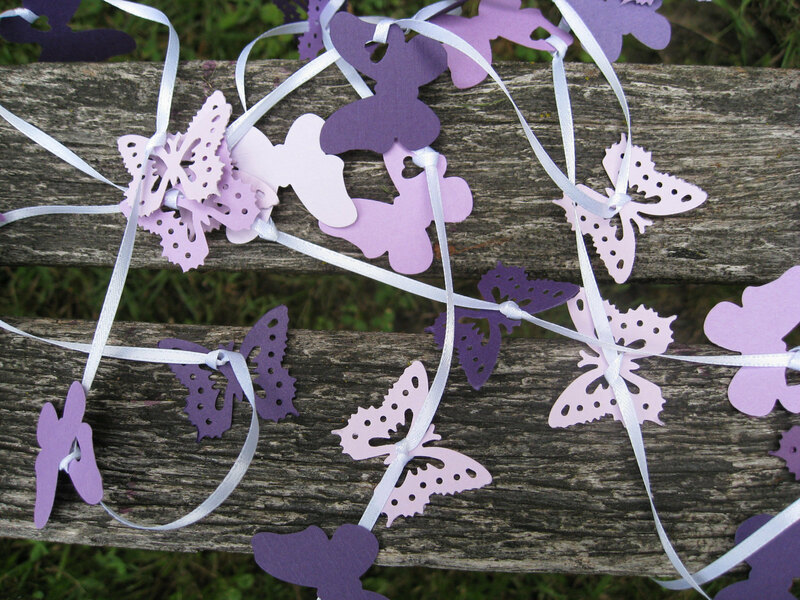 This cute butterfly garland is perfect for any event or room! 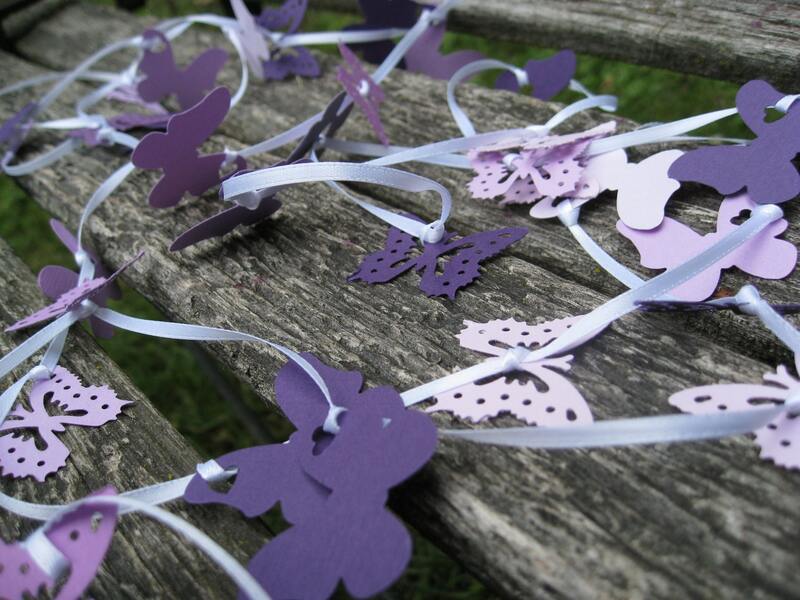 Lots of m purple butterflies are strung on a 15 foot long ribbon. Each butterfly is around 1"- 1.5", and they are in all different shades of purples: from lavender to dark purple. **Butterflies may vary, but they are always really cute! 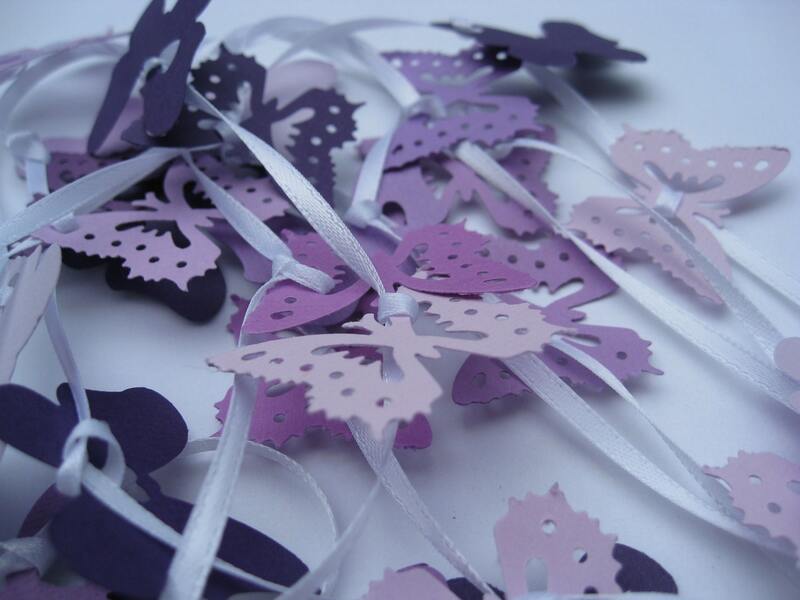 The butterflies are held by a small knot, so they won't slide when it is hung up for decoration. 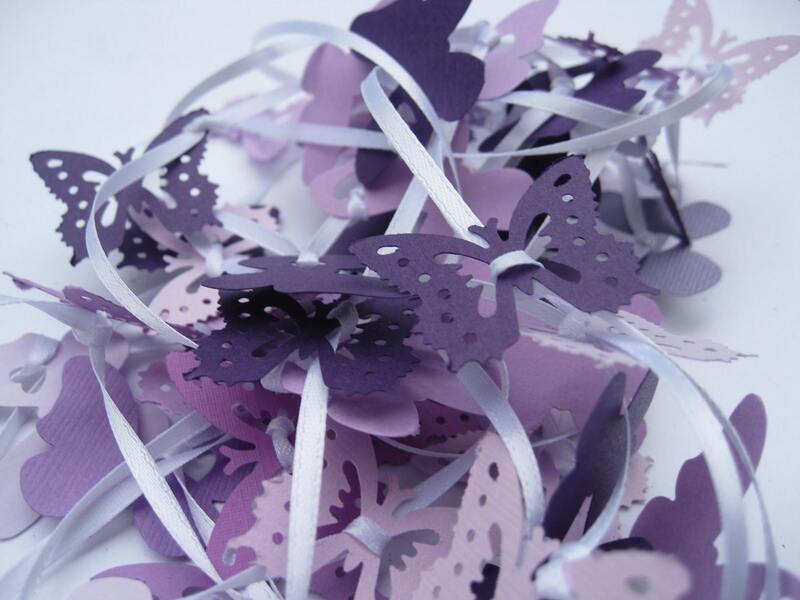 This garland would be perfect for a purple shower, wedding, or event. They also look really pretty hung up in child's room! They look really cool on a wedding arch too. I can do these in any color, amount, length, etc. If you would like a custom order, just send me a message and I would be happy to make you whatever you need!